The Texas Senate approved a resolution Tuesday calling for a convention of states to amend the U.S. Constitution, one of Texas Gov. Greg Abbott's four emergency items. Senate Bill 21, also by Birdwell, which was approved and sent to the House on a 21-10 vote, outlines qualifications and duties of Texas delegates should a national convention be called. Only current members of the Legislature at the time of the convention would be allowed to serve as delegates, a measure Birdwell said would ensure accountability to constituents and colleagues at the Capitol. Birdwell also said the bill was necessary since statutory guidelines didn't currently exist. Sen. Royce West, D-Dallas, said SB 21 didn’t ensure proper representation of both political parties. “If we’re trying to have a bill that reflects a more perfect union, we’re not doing that,” he said. "I believe that both parties should be represented as part of the delegation in order to get the best ideas put forth, as opposed to having a slant one way or another." Sen. Bryan Hughes, R-Mineola, offered an amendment to SB 21 proposing criminal penalties for rogue delegates at an Article V convention. Under his amendment, a delegate who casts an "unauthorized vote" — one that exceeds or contravenes the Legislature's instructions to the delegate — would be subject to a state jail felony and a fine of up to $10,000. Hughes said the penalty would "give pause" to delegates thinking of casting an unauthorized vote. 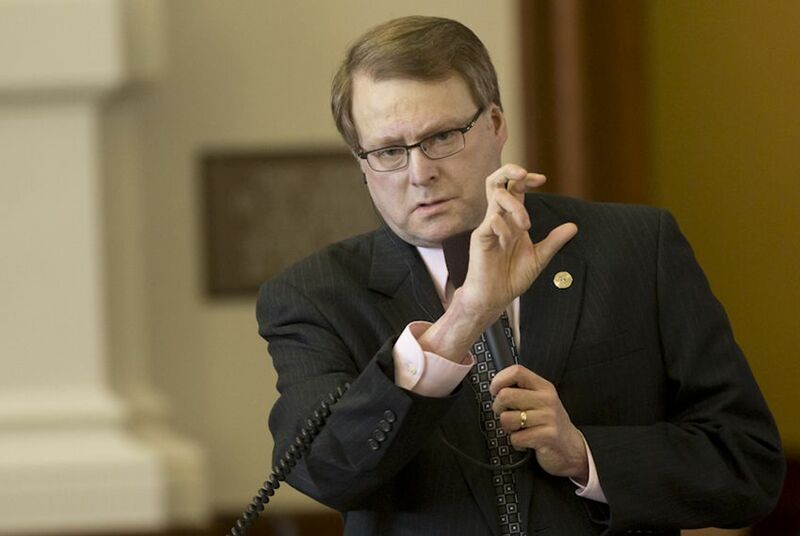 Birdwell opposed the amendment, saying, “If we criminally punish legislators, we blur lines between what legislators can be punished for and what regular citizens can be punished for." The Senate approved the amendment over Birdwell's objections. In a statement Tuesday, Abbott applauded the Senate on passing SB 21 and said he looked forward to the House's approval. "Our nation is succumbing to the caprice of man that our Founders fought to escape and I am encouraged that the Texas Senate has taken the first step in joining other states from around the county in reversing that trend," Abbott said.